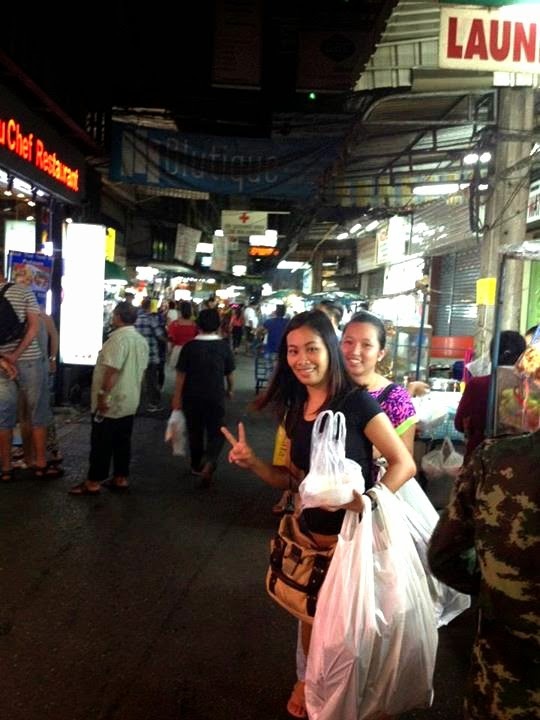 Our second day in Bangkok was all about shopping and just exploring the city. Instead of playing tourists, we tried our best to blend in and act as locals. But we overslept for a bit that day because we needed to replenish our strength to last another day of walkathon. Remember that we flew to Thailand after our work and arrived there late in the evening then woke up early the following day for our city tour and slept late because we watched Siam Niramit. So we had a legit excuse to not wake up early. Haha. 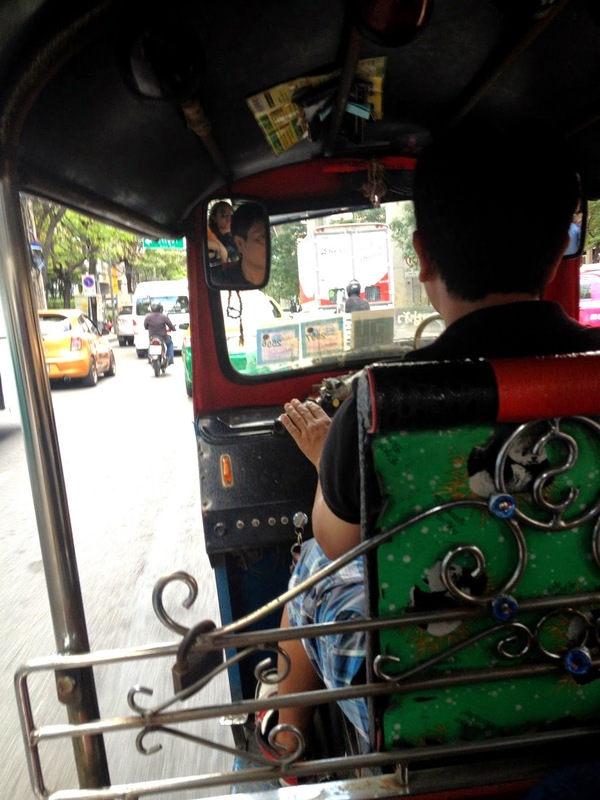 As promised, Nike, Helen, and I rode the Tuktuk so that they can experience the thrill of it. Though I was kind of hesitant since I know that if we do, the driver will take us first to a jewellery shop. If we buy something, they will get a coupon of some sort. So we just agreed to it and payed the negotiated fair of ฿50. We checked out the shop for a while and left the place as soon as we can. Off we go and went straight to Siam Center. I was running errands for my sister who will visit Bangkok also a week after me. We checked out a few shops and crossed to Siam Paragon. 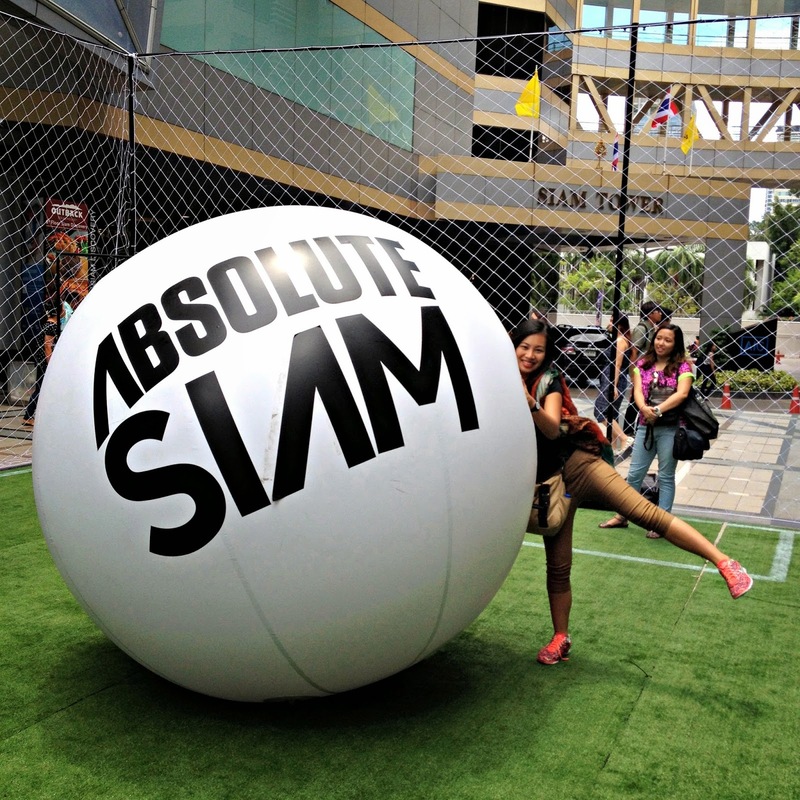 Since the World Cup was not yet done during that time, we stumbled upon this huge football in a mini soccer field outside the mall. Since Nike is a huge football fan and a player herself, we let her enjoy it first before we had our lunch. I volunteered to hold their bags so both of them can take pictures, and run and chase the ball like kids having fun under the sun. I've always been a fan of how the malls in Bangkok design their interiors. It was always unique, lively and interesting. 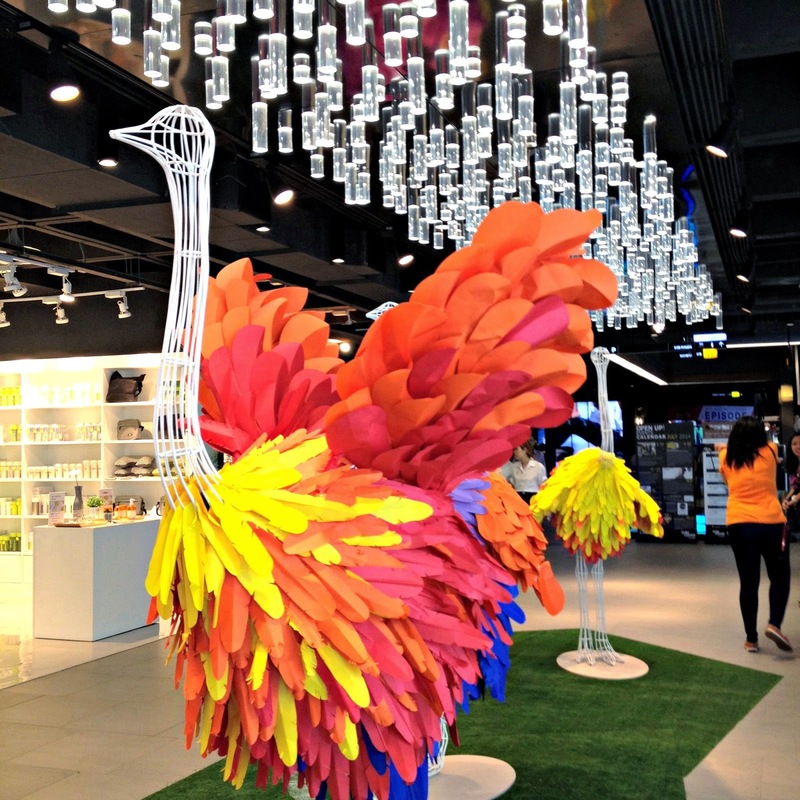 We saw this ostrich-like displays and look how attractive and vibrant they are. I remember during one of my previous trips, there were origamis dangling from the mall's ceiling. Too bad we were not able to try the Siam Ocean World. I think they feature more sharks now hence the photos around Siam Paragon and this awesome shark head display. I wasn't able to take a photo of my food but it's okay since I only ate pork strips. 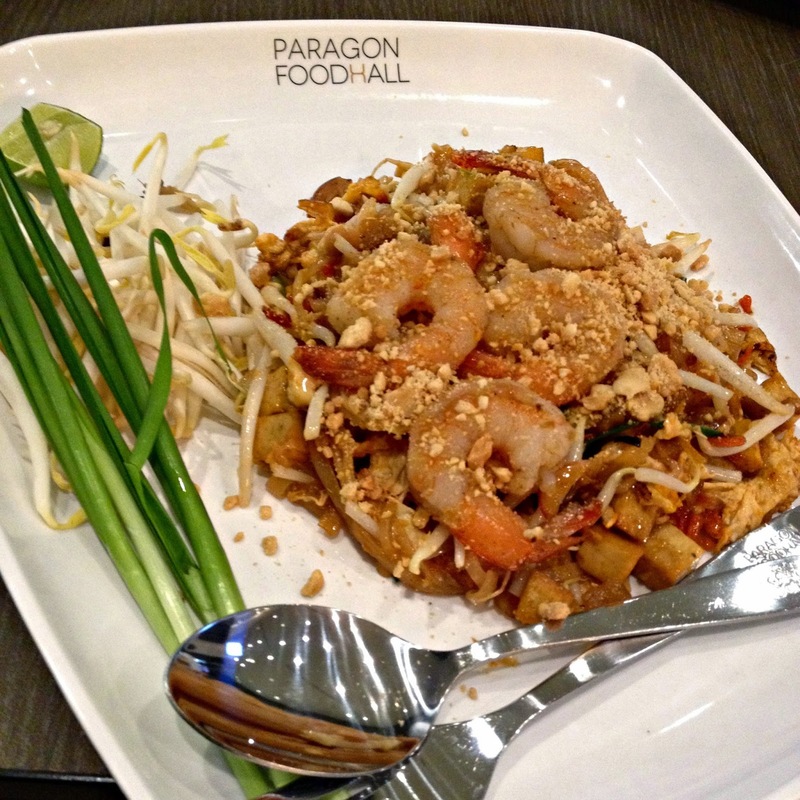 So here's their favorite padthai, Siam Paragon version. They told me that they still love Platinum Mall's version best. Nike was longing for Mi Krop ever since and we've been looking for it non-stop. She was informed that this was it but she told us this was a different dish. Our mission to find it failed but I promised her that I will look for it and we will find it on our--hopefully--next trip. If you guys know the best place in Bangkok to get it, please let me know! Here's one of the Thai desserts you shouldn't miss: sticky rice with mangoes and coconut milk. It tastes like one of our kakanins back in the Philippines which is called suman. Oh Helen, got addicted to it alright. She loved it so much that like the padthai, she ordered it as much as she can during our trip. 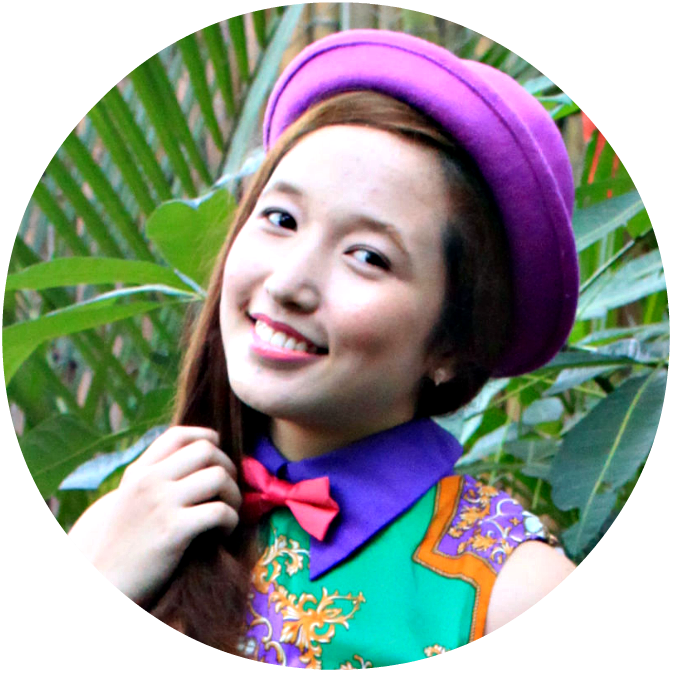 The Thai people are known to greet you sawasdee while putting the palm of their hands together and while slightly bowing their heads. 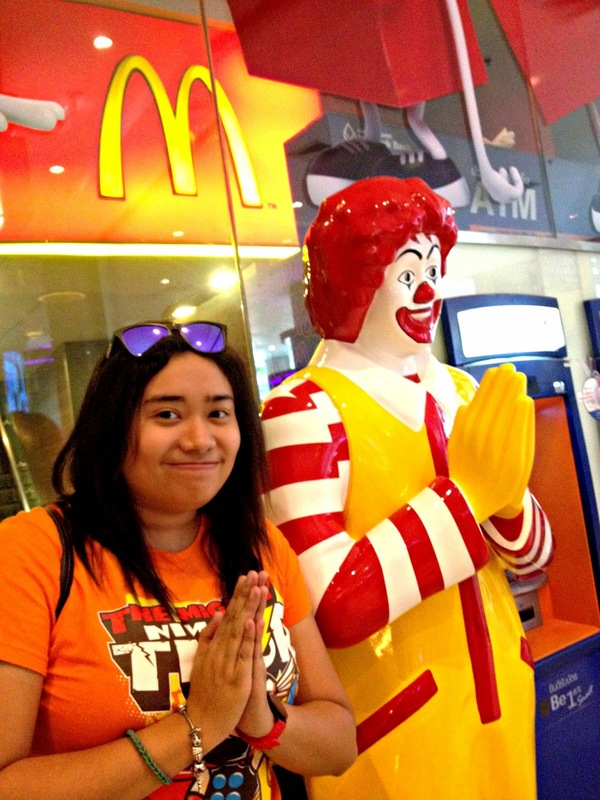 I wasn't kidding when I told my friends that Ronald McDonald will greet you in the same manner and here's the proof. 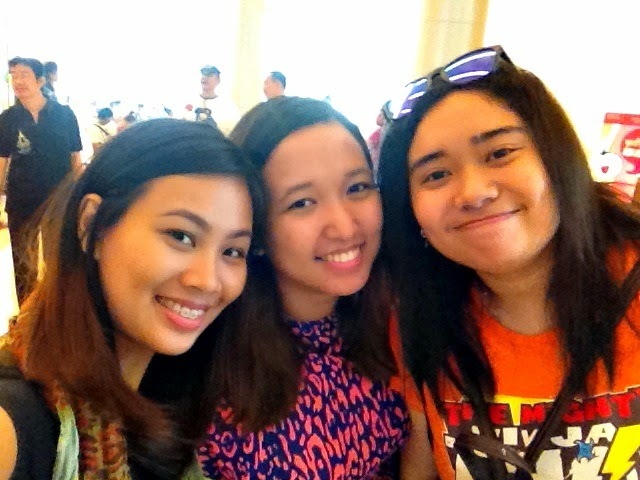 My friends and I decided to roam around the mall separately. Helen and I will raid sale racks in some shops while Nike will visit the Bangkok Comic Con held in the Royal Paragon Hall on the fifth floor. 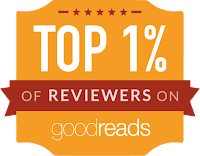 It was a win-win moment for us all. 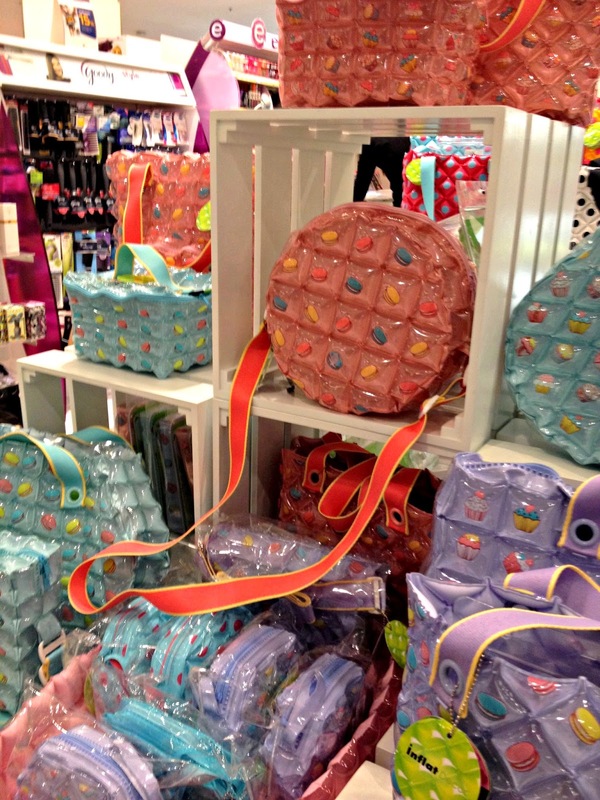 I saw this bubble bags in one of the stores we visited and I was so tempted to buy it. I absolutely wanted it but the depleting budget I have did not allow it. I personally wanted the round, pink one with macaron prints. It's so cute, so girly and so childish. Oh well, maybe next time. 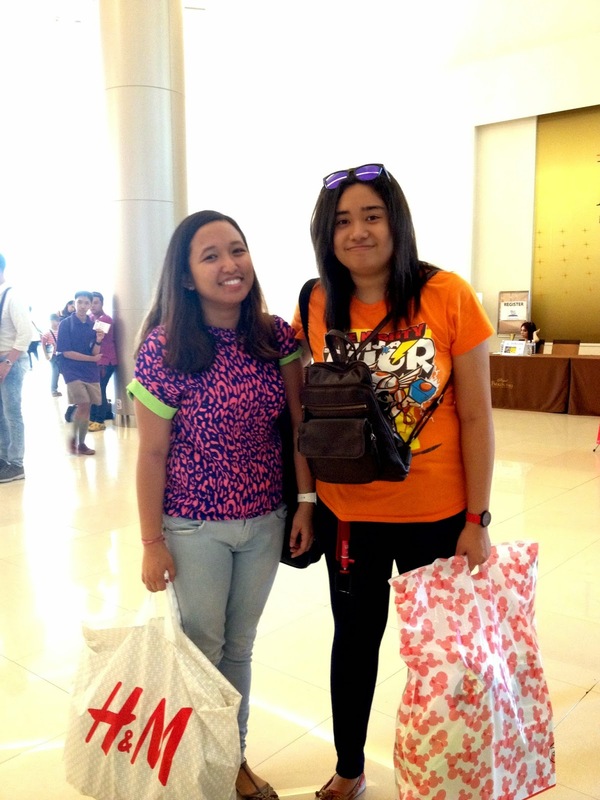 After Helen and I shopped 'til we dropped, we met Nike at around 4PM in front of the event. All of us bought things we wanted and we were more than happy to go back to our hotel. I was able to get amazing bargains at H&M. From the bag I've been eyeing since our trip to Japan to some pants I needed for work. 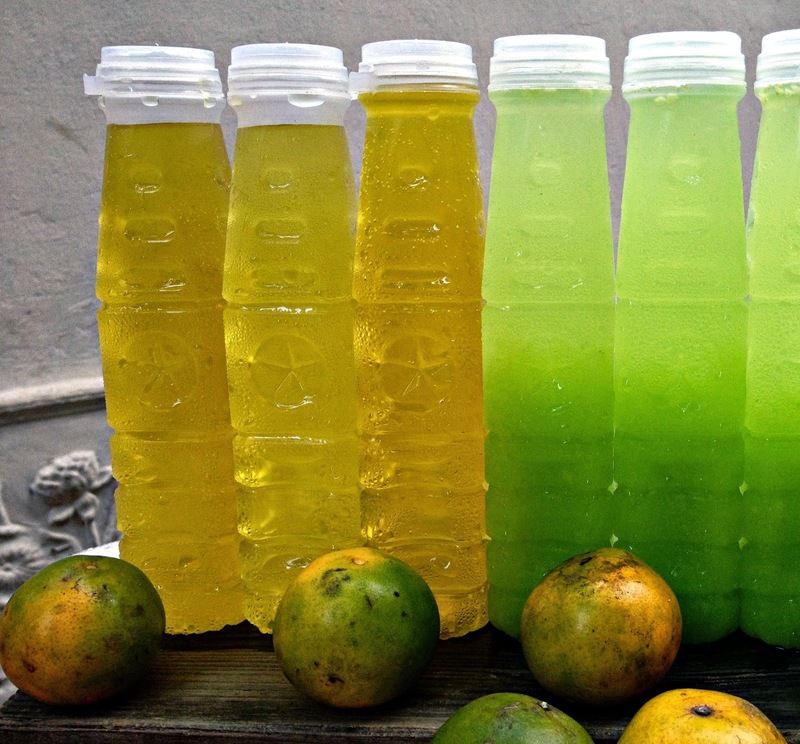 It is a must to try out these freshly squeezed juices you will see in the streets of Bangkok. It is a good thirst quencher and quite yummy, too. My mom loves it and told my friends to try it out. 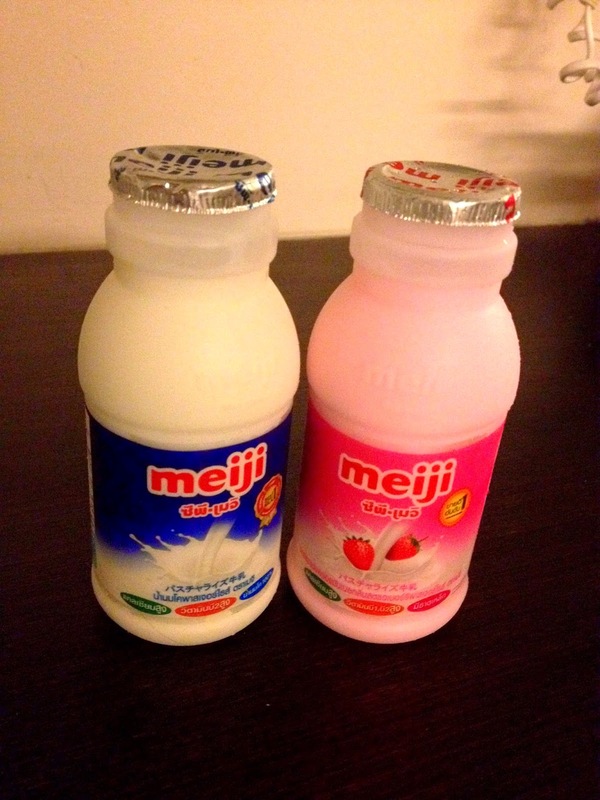 Never have I ever visited Bangkok without buying a bottle of Meiji milk. Oh, I hoard these! It's ultimately my favorite and I still can't believe it's not available here in the Philippines. It's so creamy and delightfully yummy. Plus, it's available in any 7 Eleven stores you can find around there. After resting for a bit, we went out again to buy dinner. 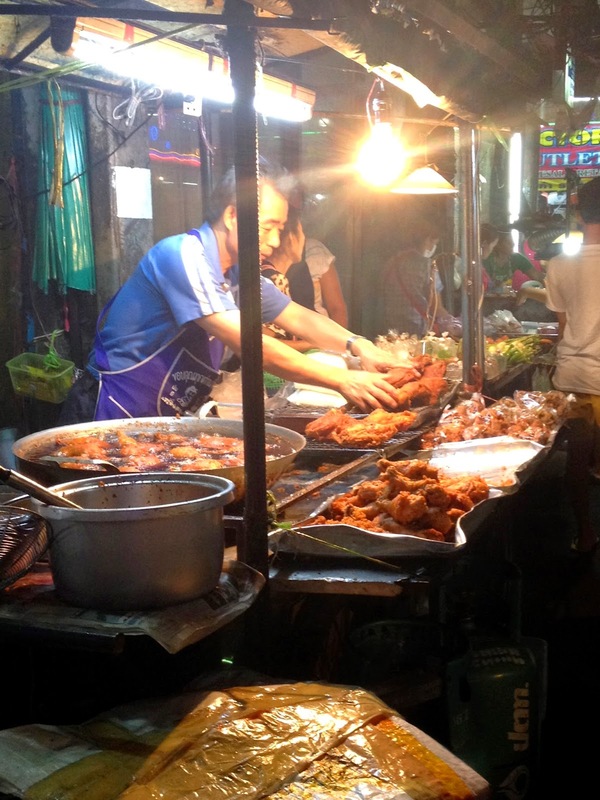 Bangkok is known for their street food. You are definitely missing out if you prefer hotel or fancy restaurant food than this. 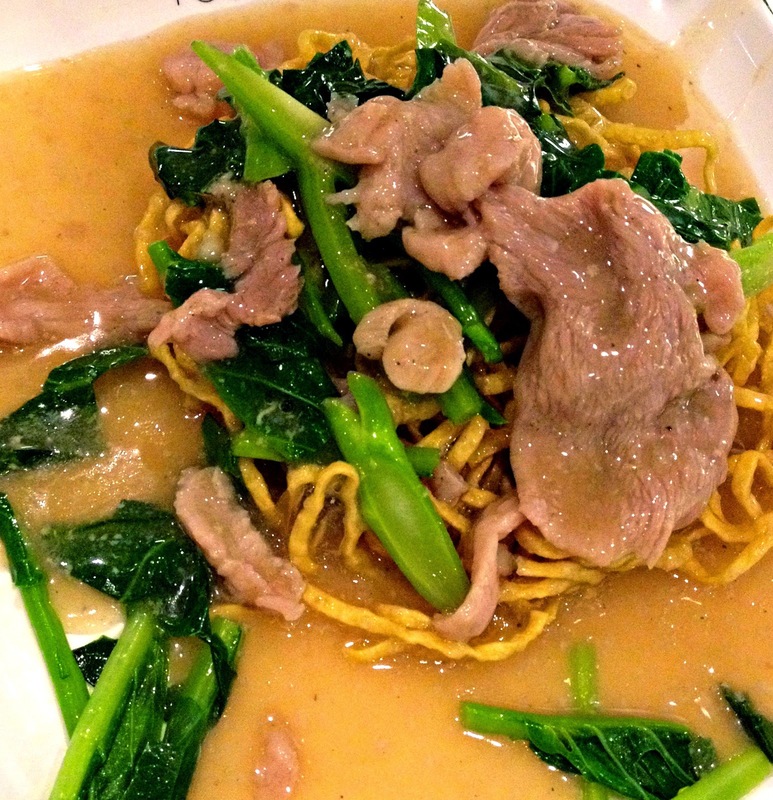 It's cheap, the serving is quite plenty, and it's delicious. Need I say more? 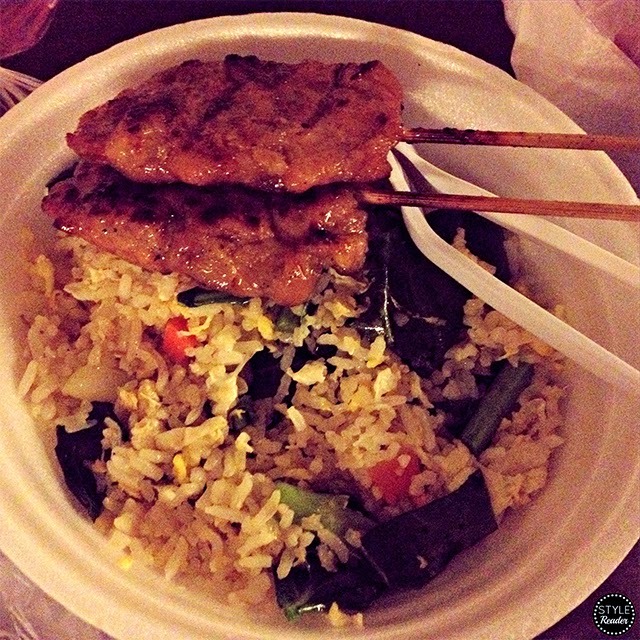 I got myself some yang chow rice while both of them can't stop eating padthai. They can't help it. It's too good! 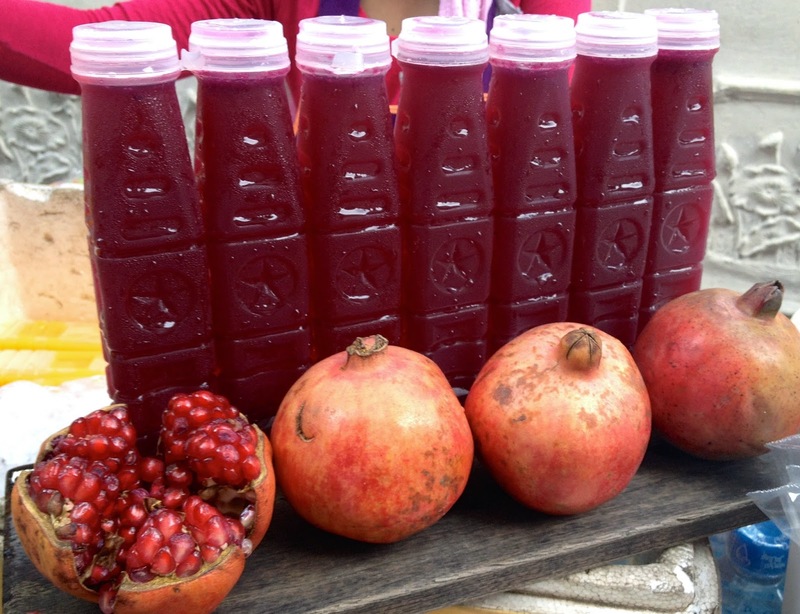 They are also known for their fresh fruits which are quite cheap for the quantity you get. 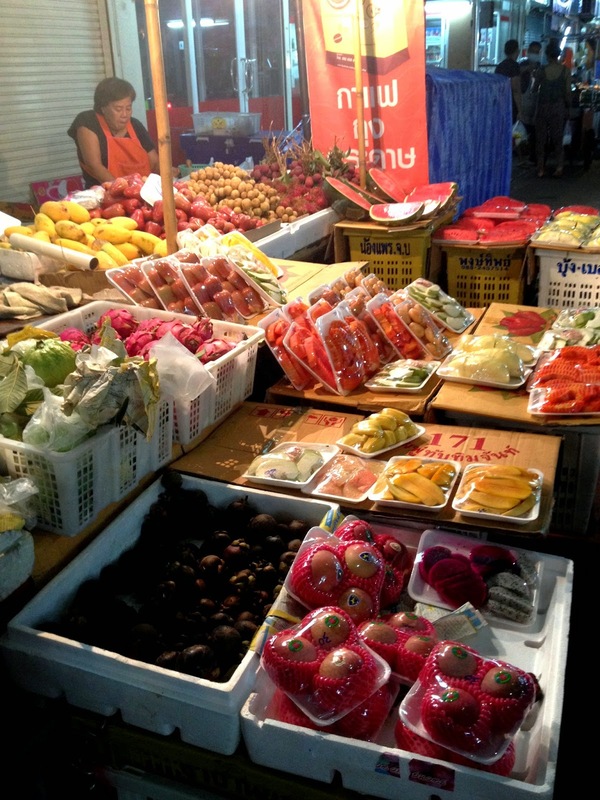 Helen and I bought a kilo of rambutan for ฿25 and a kilo of mangosteen for ฿35 only. 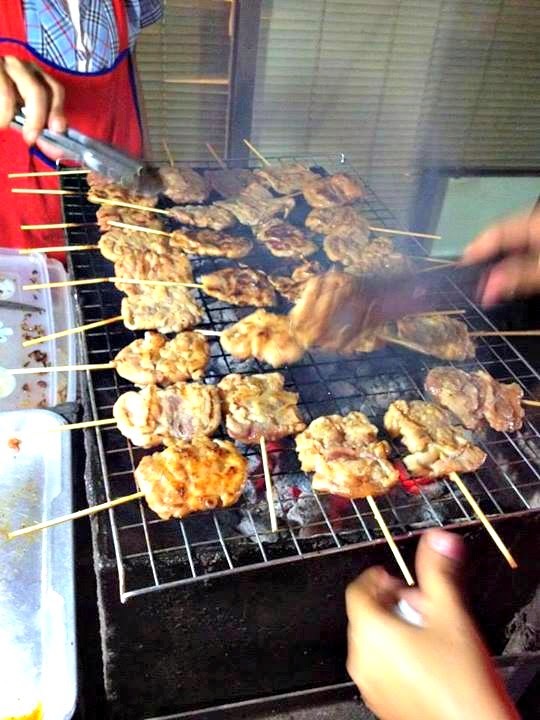 We also ordered these pork barbecue sticks which is awesome when paired with anything. 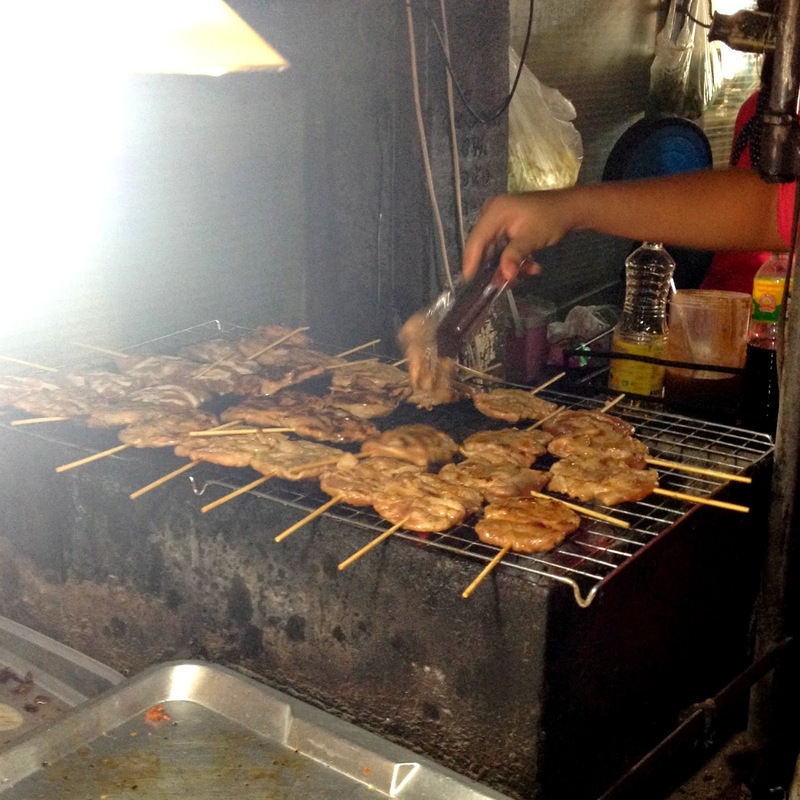 We needed to wait for a few minutes before we can get our order because one customer bought most of their barbecues. So we decided to cross the street first and bought some souvenirs.